This is Nikki, Founder and creator of Maya London. She talks to us about wanderlust, huipils and starting a fashion business that gives something back. Hi there! Firstly thanks so much for inviting me to feature on your journal! I am so excited to be part of this collaboration. I have worked in the fashion industry for almost 10 years! I am a creative consultant and fashion stylist for an assortment of fashion brands. Throughout my career I have been lucky enough to travel and work with the industries most influential players. My experiences have inspired me to start my own brand focusing on ethical practices by using the skills and knowledge I have gained along the way. I am passionate about lots of things but my top five would have to be women's rights, design, sustainability, fashion and travel. I love that Maya London encompasses all five! Just over a year ago my wanderlust and love of design led me to the colourful markets of Central America. I was instantly captivated by the traditional indigenous women's ancient dress and the handwoven designs. I was lucky enough to visit a cooperative where I was shown how to weave in the traditional Mayan way. Listening to the artisans’ stories inspired me to share their beautiful pieces with the world while giving something back to the vibrant, hard-working women who made my travels so unforgettable. Returning home, I began putting my plans into shape. My goal is to enable a mutually beneficial relationship whereby customers have the opportunity to buy unique, one-of-a-kind pieces from around the world, while artisans earn fair wages that support their families. What do you want people to know about Maya? 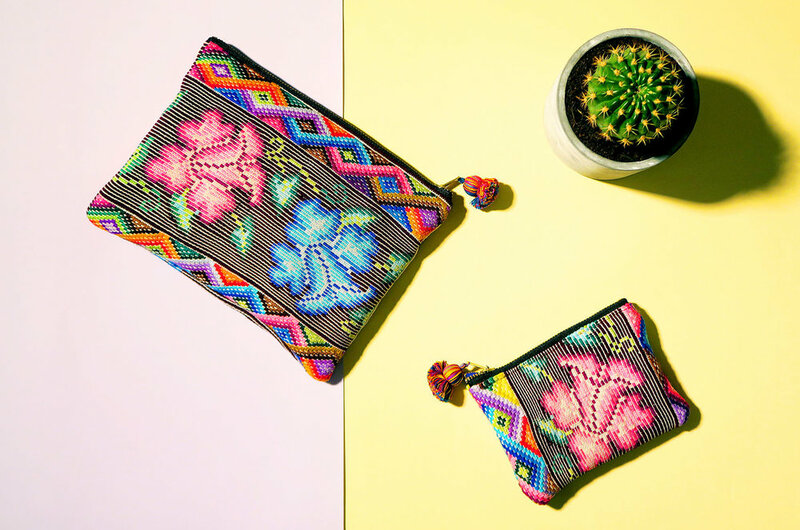 Each design is one-of-a-kind because the bags are made from recycled huipils (embroidered blouse). Indigenous women in Guatemala wear their traditional dress, traje, with pride; it consists of a huipil and corte (embroidered blouse and skirt). The ancient technique used to make them is passed down from mother to daughter. The cooperative we work with collects huipils from different villages and brings them to the workshop, where they are repurposed to make bags and purses. 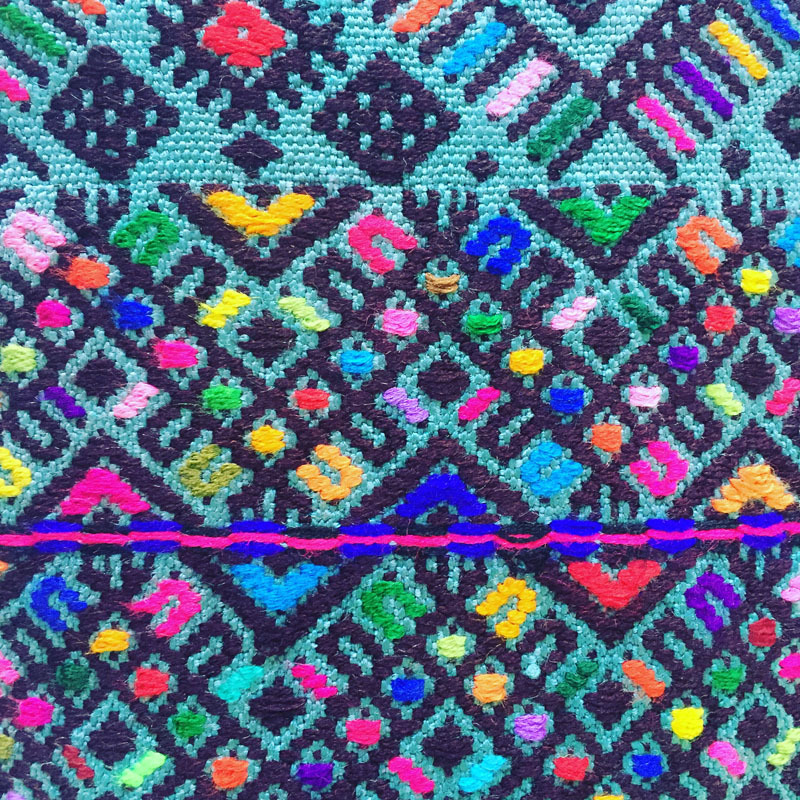 Each huipil is a work of art and can take months to complete: the colours, weaves and design represent the artisan’s personality and the village she comes from. That means no two bags are alike. Which suits us because we know our customers are individuals who love fashion with a story. Tell us about the people who make your products? 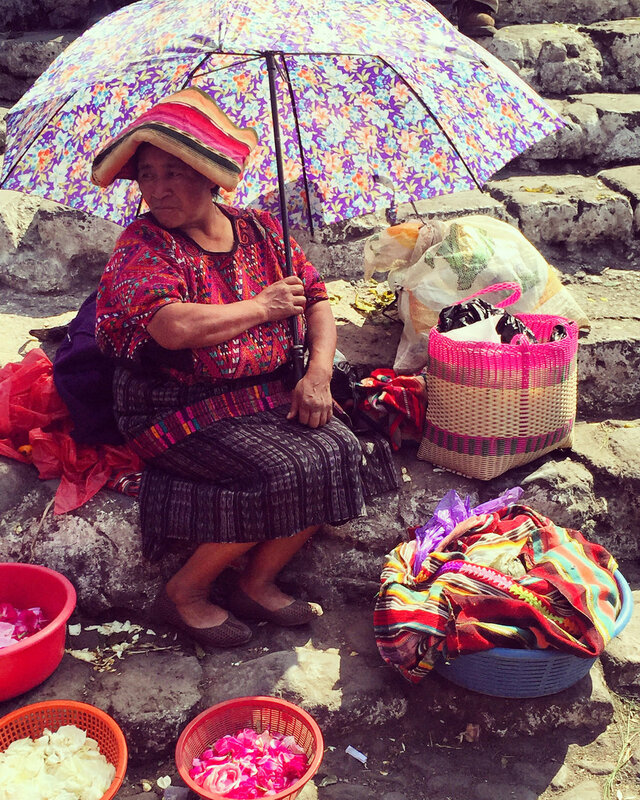 Guatemalan indigenous women face high rates of violence and discrimination. With a population of 15.08 million, Guatemala is one of the most unequal countries in the world, in which 53 percent of the population lives in poverty, and 13 percent in extreme poverty.We work directly with a cooperative in Guatemala that commits part of its profits to their micro loan program, which provides long-lasting and sustainable assistance to individuals in the communities where their artisans live and work. Through the program, individuals earn fair wages, grow their businesses, and prosper, thus improving their lives and the lives of their children. What other ethical fashion brands are doing a great job right now? I'm really in love with The Basket Room, their gorgeous fair trade bags and baskets are hand made in Africa. I bought one of their baskets at the Renegade Fair last winter and I've worn it practically every day since! I also love Reformation, their dresses are beautiful! I went to their store in NYC last summer and I spent almost a whole day in there, I wanted to buy everything! Where do you see Maya in the future?